You can look forward to receiving the highest quality natural stone, delivered on your schedule, at a very competitive price. Complete the form below or call 978-742-9800 for immediate assistance. 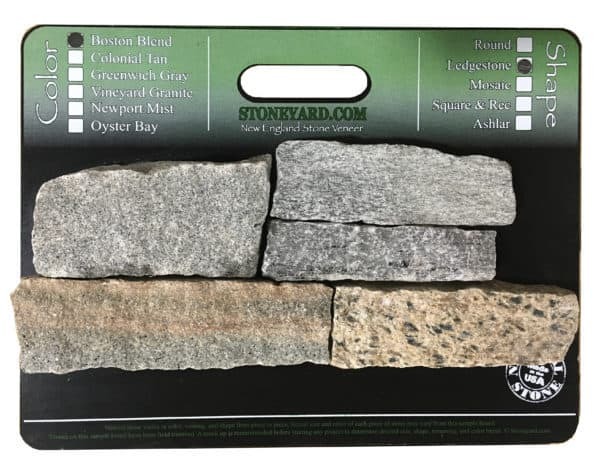 When you order one of our Boston Blend® natural stone pallets, for example, each stone is selected and shaped, then blended for color. Stones are placed in layers. Each layer of 12 sq. ft. is separated by landscape fabric, so that the installer can keep track of stone used. The pallet contains 168 sq. ft. of usable quality stone, with no throw away pieces like you might find in the pallets of other stone suppliers. Each pallet is secured in a new wooden crate with a removable top, labeled clearly with the stone color and type. 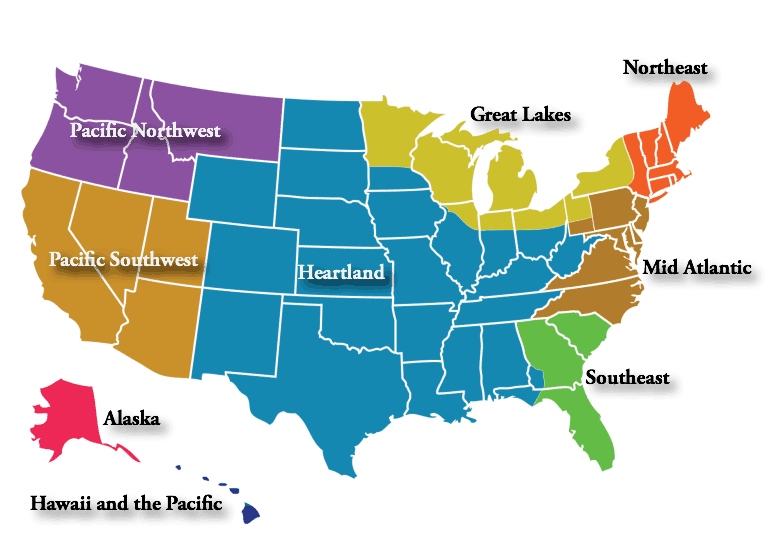 Our main distribution center is in Littleton, MA. 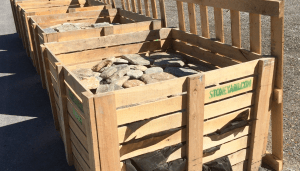 We package natural stone in a full crate, in partial crate layers of 12 sq. ft, or in a box of flats containing 5 sq. 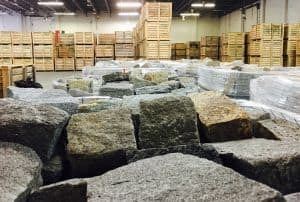 ft. With these options you can order the exact amount of stone for your project. We ship anywhere in the U.S.
You will see our stone displays up and down the East coast and around the U.S. We’ve been in the natural stone business for 30 years, so we have worked out how to source, cut, shape, package and deliver natural stone so that it is the right stone for your project and the highest quality product. Click the Map for Shipping Time to Your Location.